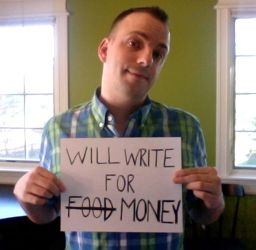 Check back soon for Matt’s commentary, columns, blogs and personal essays. I love my job. Because I write about so many different subjects — project management one day, college savings accounts the next and high-tech building design the day after that — every day is a new wrinkle in my brain. Occasionally, however, the wrinkles need a little ironing. Here, in my digital Moleskine, I take a break from telling other people's stories in order to tell my own.